MIAMI — A FlyJamaica Boeing 757-200 has overrun the runway at Georgetown International Airport, sustaining significant damage to its fuselage and landing gear and injuring two passengers. The aircraft, registered N524AT, overran Runway 06 coming to a complete stop on soft sand, damaging its landing gear, engines, and fuselage. Reportedly, the 757 experienced some technical difficulties about 45 minutes after departing Georgetown. The flight crew decided to head back to the airport, where it overran the runway after touching down. Flight OJ256 to Toronto was carrying 118 passengers and crew onboard. Eyewitness reports state that the 757 crashed into the airport’s fence and came to a full stop when hitting a large pile of sand after the runway. “At this time, we believe that all 118 passengers and 8 crewmembers are safe. We are providing local assistance and will release further information as soon as it is available,” ended the statement. Safety slides were deployed and all passengers were evacuated. This would be the third incident in less than one week where a Boeing aircraft is involved. One day before this incident, a SkyLease Cargo Boeing 747-412F ran off Halifax Airport’s Runway 14. The plane was performing flight GG4854 from Chicago-O’Hare, coming to a full stop and sustaining significant damage to its engines and lower fuselage. No injuries were been registered. And on October 30, a brand-new Lion Air Boeing 737 MAX 8 (PK-LQP • MSN 43000 / LN 7058) crashed shortly after takeoff from Jakarta, Indonesia, killing all 188 passengers onboard. 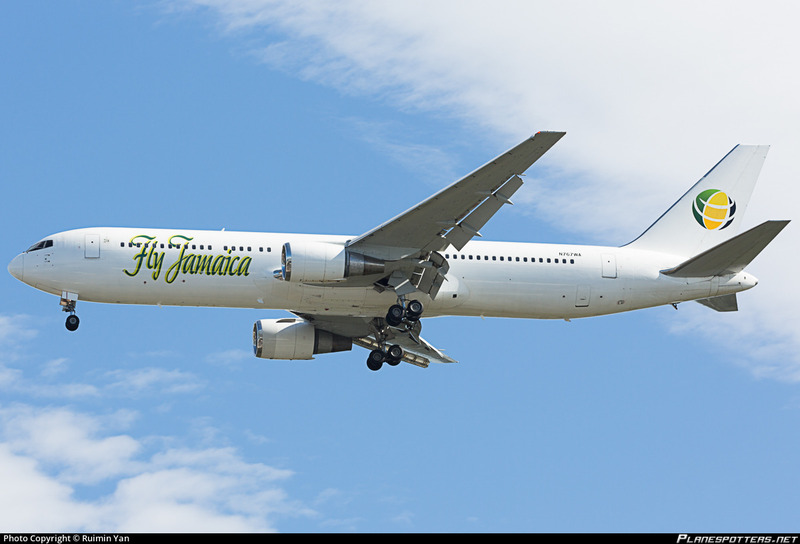 FlyJamaica currently operates a fleet of only two airplanes, a Boeing 767-300(ER) and the damaged 757. 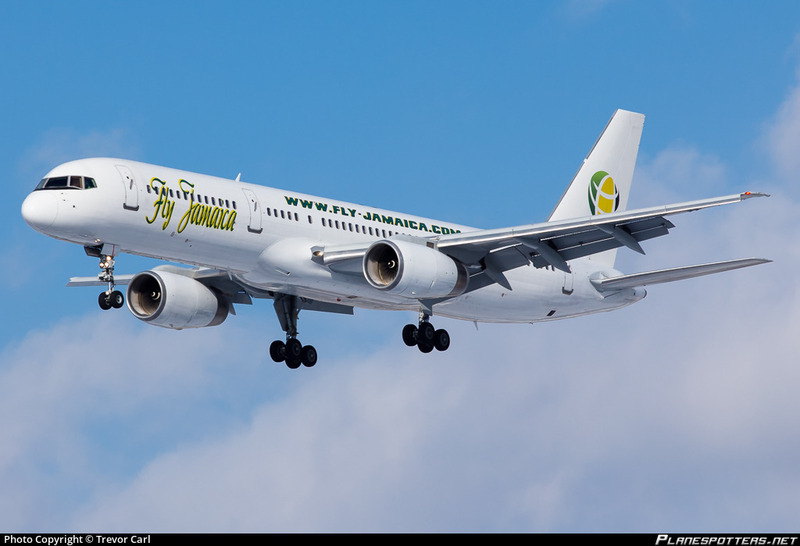 The Jamaican carrier was given its Air Operators Certificate (AOC) in 2012, also obtaining rights to operate to the United States. The airline flies regularly to New York (JFK) and Guyana (GEO) from its base in Kingston (KIN). The damaged Boeing 757 was delivered to American Trans Air in 1999, then flying for a myriad of carriers around the world, including VIM Airlines, Aurela, Thomas Cook, Flycraft, and Wings Aviation. FlyJamaica also operates from Guyana to New York and Toronto (YYZ).